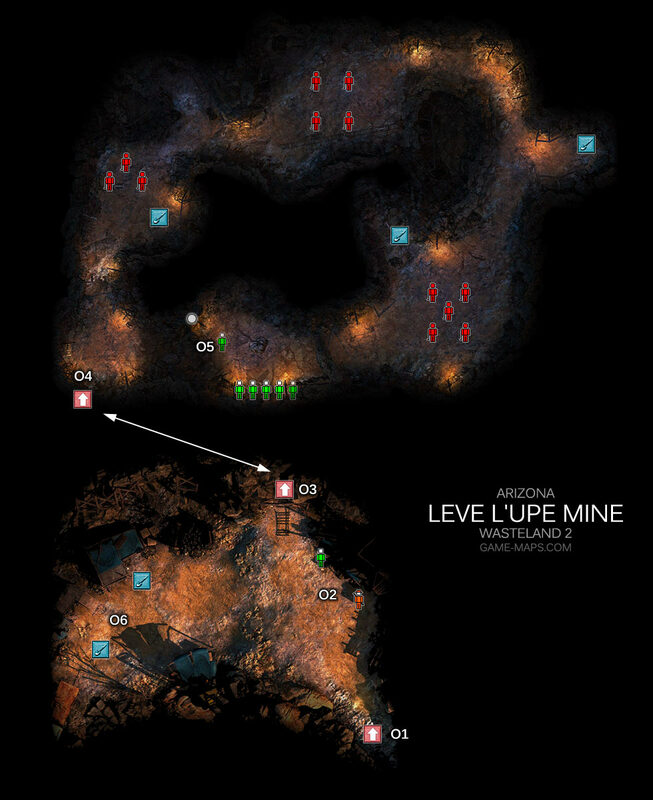 Leve L'Upe Mine Walkthrough - Wasteland 2 Video Game Walkthrough with Maps & Game Guide. Quests, NPCs, Items, Secrets & Hints, Enemies, Skills to Use. QuestRescue the trapped miners Denis Semenov has asked us to bring blasting caps to some trapped miners in the Leve L'Upe mine and help them clear a path. Max Zhukov said: Hello? Is someone there?. We're trapped behind these rocks. Can you please help us?. We have the TNT placed on our side, so you're going to have to go through the old mines to get to us. Be careful though, it might be filled with some bad critters. 05 Use Blasting Caps, and Use TNT Detonator. 02 After returning to ground level. QuestRescue the trapped miners We've saved the trapped miners in the Leve L'Upe mine. NPCTakayuki You can join him now to your team. Followers - NPCs to join your team.